The original Mario level, World 1-1, is well known for being an amazing level that teaches the player how to play the game. Though it is really more impressive than that. As Ceave points out, the 2D Mario platformers haven’t really changed all that much, meaning that the first level of that classic game essentially teaches you everything you need to know to play most Mario games. 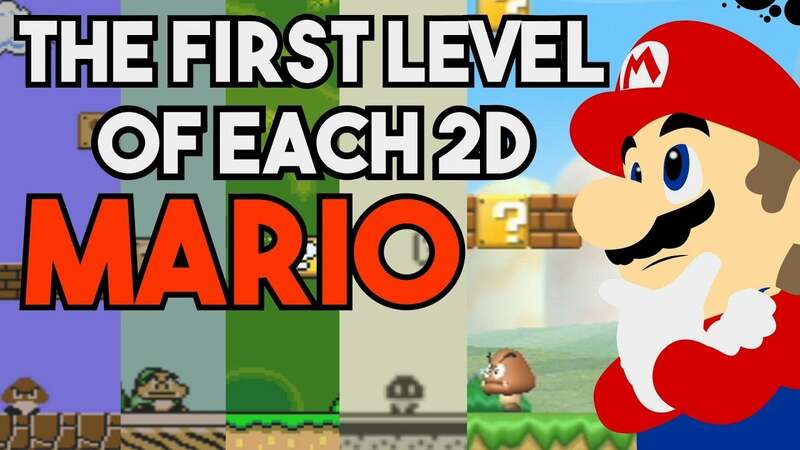 From Goombas, to Stars to invisible blocks, that first level efficiently teaches the player the core elements of the entire Mario franchise. 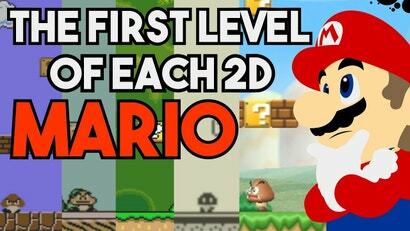 Other Mario games would continue having great first levels. Super Mario Bros 3, for example, includes more enemies and many new features. You can find a Tanooki Suit and then explore a totally optional part of the level located in the skies above the stage. Looking at each first stage is also a wonderful way to see the evolution of the franchise, though it never changed too much. Just a new enemy or a new theme, maybe a new move or two. But these simple changes helped make each entry feel unique and memorable. The entire video is worth watching as Ceave goes into more detail about each game, including the portable 2D games and talks about the different physics, rules and more. Oh dear. He's all over the intricacies of the series, and then he reveals himself to be one of those dudes that says Super Mario bros instead of "brothers". That period at the end is there for a reason, gamers! "Hooray" is also not pronounced "hoo ray" but we give Ceave a pass because he's amazing. It may not be "pure" 2D, but Super Mario 3D World is, in my opinion, the current latest and highest entry of this legacy. it took everything that made the 2D Mario games essential and sprinkled some of the best ideas of the 3D games in a seamless way. Super Mario 3D World 2 is probably one of the only games I'd preorder nowadays.